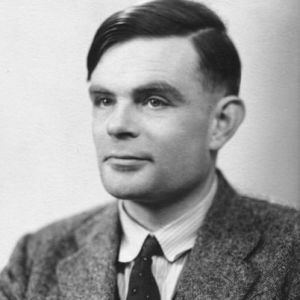 A Turing machine is a mathematical model of a mechanical machine. At its roots, the Turing machine uses a read/write head to manipulate symbols on a tape. It was invented by the computer scientist Alan Turing in 1936. Interestingly, according to the Church-Turing thesis this simple machine can do everything any other computer can do; including our contemporary computers. Though these machines are not a practical or efficient means to calculate something in the real world, they can be used to reason about computability and other properties of computer programs.